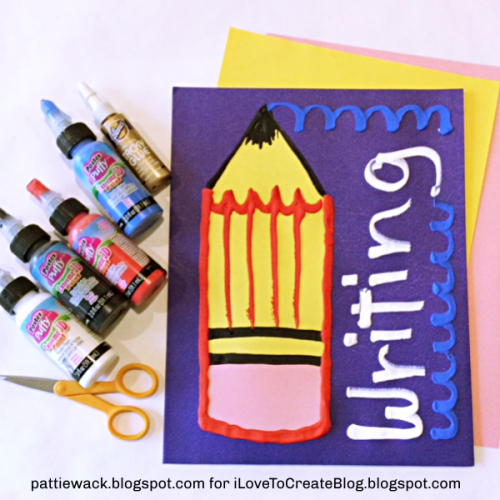 It's Back-to-School time again, and if you're looking for a way to brighten up the classroom in a BIG way with a SMALL budget, these DIY Classroom Folders are just the ticket! 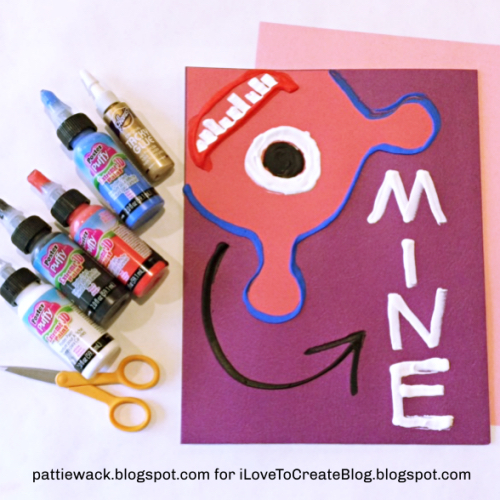 Save $$ money $$ with just a few supplies, since all you need is this fun pack of EXTREME 3D PUFFY™ PAINT and those dirt-cheap folders in bright primary colors that you can pick up anywhere....even the dollar store. Get creative! 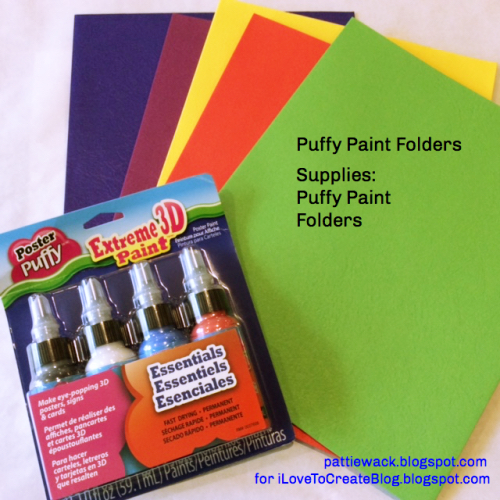 Everybody loves Puffy Paint, and this kit will be so much fun to paint the folders with, the kids will even want to help. 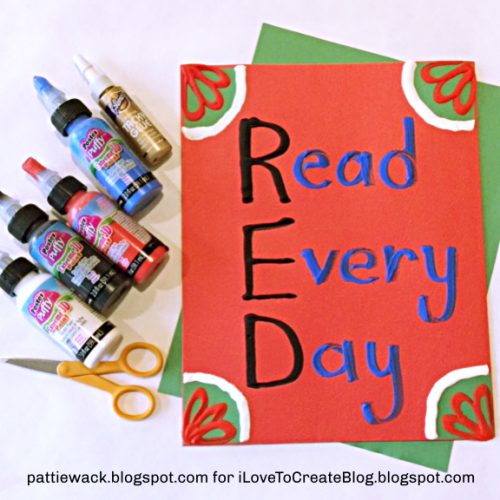 For this folder I used a red colored folder and wrote the word "RED" on one side and then used the acronym to write the words Read Every Day. Then I cut out green construction paper for the corners and glued them with Aleene's® Tacky Glue. Next, just add a few fun embellishments and you're done. It dries super fast, too. My short stumpy pencil was cut from yellow and pink construction paper and glued to the left side of the purple folder. I outlined it with red and black paint, and added blue squiggles of writing from the pencil point at the top and right edge of the folder. To finish it, paint the word "Writing" in white. 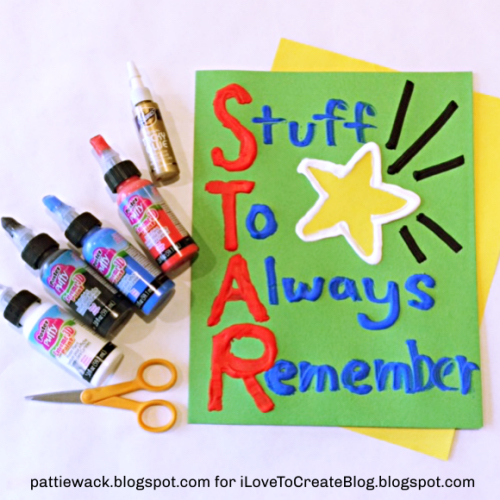 Here's another acronym with the word STAR to use for the words "Stuff To Always Remember". I started by cutting a star shape from yellow construction paper and gluing it to the green folder with Aleene's® Tacky Glue. Then I painted the word "STAR" in red along the left side of the folder. Next I finished the words in blue, outlined the star in white and painted black beams from the star. How fun is that? 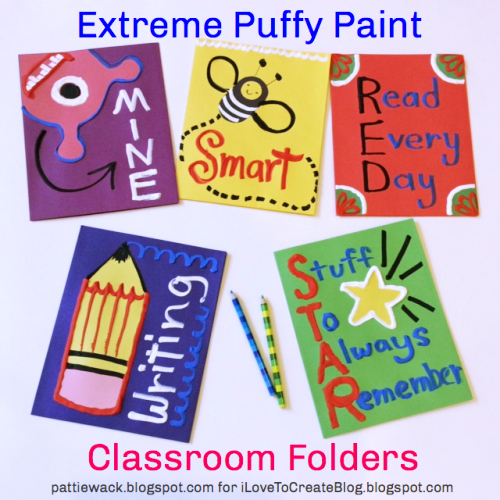 There are so many variations you can create when making your own classroom folders with EXTREME 3D Puffy™ Paint! I know you'll have tons of ideas and probably better than mine that your kids or students will love and be inspired by. 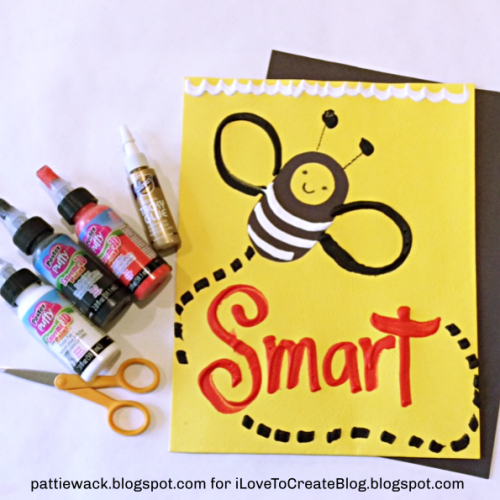 I hope you have a wonderful school year, and keep being crafty and creative! Thank you very much for sharing such interesting and useful information for children and their parents! I believe that a person should learn something new not only in childhood, but throughout life. I believe that many parents also like this article: https://www.theyeshivaworld.com/news/promo/1599424/education-news-advanced-methods-for-adults-to-acquire-new-knowledge.html it will help parents learn about alternative methods of education.